Aroma: Heady aromas of light malts, tropical fruits, exotic spices, and alcohol. Not much from hops, but they may mingle with the scents of citrus fruits. There is also a sour tang to the beer. Appearance: Deep golden amber in color, with a medium carbonation. It raised a hefty white head of medium sized bubbles that fell quickly to a light layer of light bubbles. Flavor: Heavy malt flavor, leaning towards the pale malts. There are back flavors of spices and a hint of mango, papaya, and pineapple. The oak comes through very lightly. I don’t really taste any hops on this brew, but a bit of a sour tang comes through nicely. 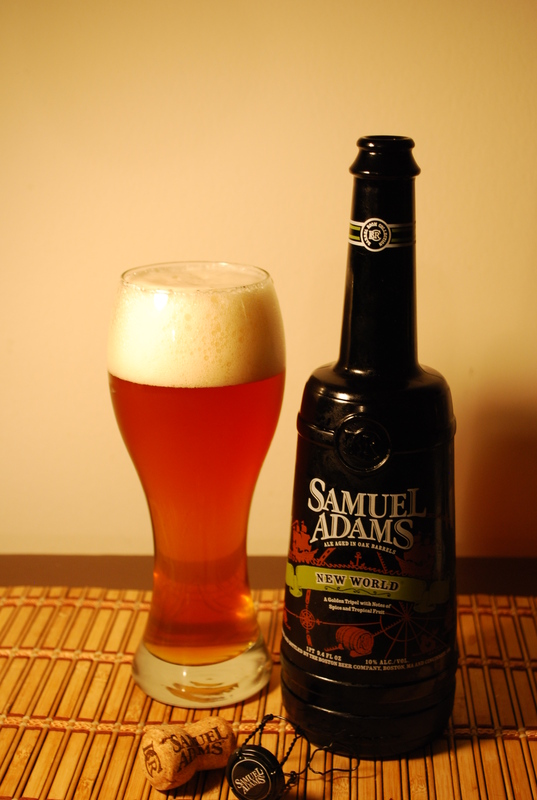 Mouthfeel: Very heavy on the tongue, with a strong malty base. It might be cloying, if there wasn’t such a heavy alcohol and sour presence. Overall Impression: This is a delicious brew. It is bottle-conditioned, and the high alcohol content could give this brew several years of great flavor and maturity. I really like this one, and am looking forward to trying more from this line, as well as picking up some more to lay down for a while. The label isn’t much, but I really like the bottle.